Dr. Joanna Pearson is a general adult psychiatrist who completed her medical education at the Johns Hopkins University School of Medicine and remained at Johns Hopkins to complete her psychiatry residency training. Originally from North Carolina, she also has a background in writing and the arts. While at Johns Hopkins, Dr. Pearson trained extensively in a number of specialized inpatient, outpatient, and consultation clinics, including the Women’s Mood Disorder Center and the Sexual Behaviors Consultation Unit, and served as a psychiatric consultant to specialists in all areas of medicine. 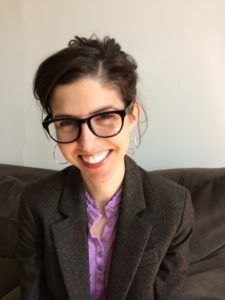 Her special interests include mood disorders, anxiety disorders, depression, artistic and creative development, young adult issues, college student mental health and development, and women’s mental health––including premenstrual and peripartum mood disorders. She is dedicated to working individually with patients to identify the best way to evaluate and treat a broad range of general psychiatric disorders.